Carletta, one of my dearest friends, birthday was 8/12. I gave her the Desiree purse for her birthday. I knew when I fist saw that purse that it was for her because it is shiny and has that big bow. She was blown away by that purse and this is a lady who owns a lot of purses. Her granddaughters were there, too. They are 29 and 17 years old and they loved that purse. 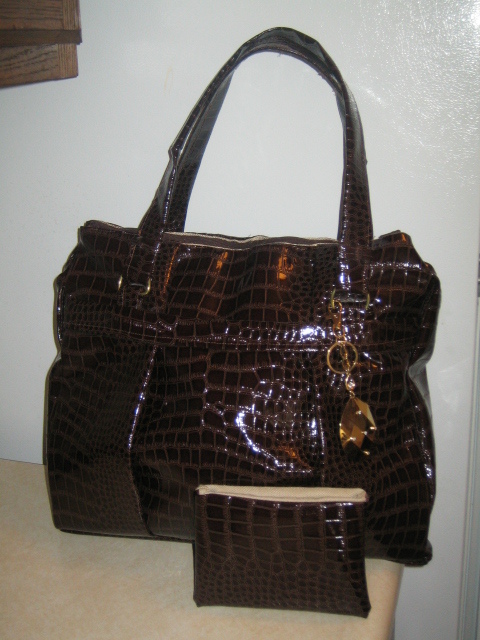 The 17 year old kept modeling the purse and looking at herself in the mirror until Carletta told her to put it down. Carletta said that you are going to be a millionaire and make a lot of money. She says crazy stuff when she is happy and impressed. We had a lot of fun. But it made me think just the same. The Cherlina line could really take off with the right organization and business plan. Your purses are beautiful. Also, Lett (we call her) and her granddaughters were blown away that you made the purse yourself, and I went into the long thing about you signing the purses. You know hand made work, by the artist, is such a special gift to be able to give. Lett expressed that to me she said "and my purse was hand made? How did he do it?" She was like "Can he make them in leather?" And I told her no becuase that is not what you are doing. The girls wanted to know where you get the table matts that looked like leather and a million other questions. I will get some pictures and ask Taylor to send them. Thank you for posting the other pictures. They look great. 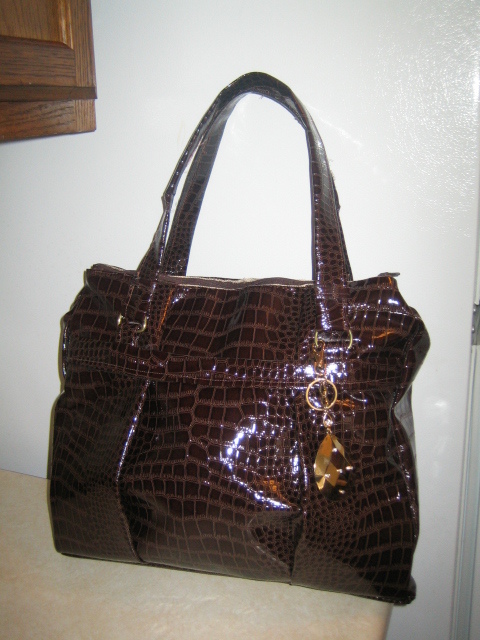 I can't wait to see the new model concepts and I would be honored to design a purse with you. Thinking of you and your little neice today.